Styled with lizzie pant . 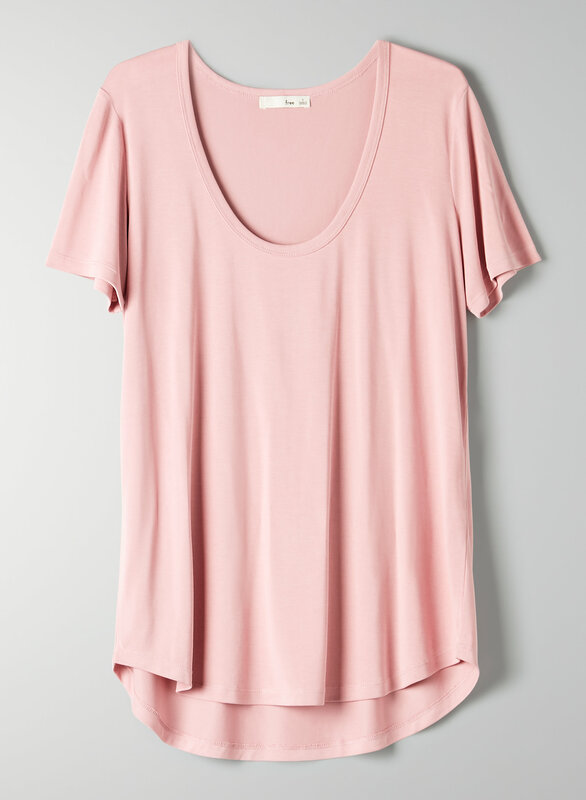 This is a classic scoop-neck tee. This version of the Valmere is made from a drapey modal blend and has a silky-soft feel. Super comfy but see through. I love this fabric and all the different colors the shirt comes in. relaxed fit, looser then the tandis which is my usual go to. neckline is a smidge lower than i’d like, but my love of the shirttail hem makes up for it. I love this shirt and wear it with everything. It’s a relaxed fit with beautiful fabric that wears really nicely. I have two of these and love them. I ordered the grey and black because they are so versatile and comfy. 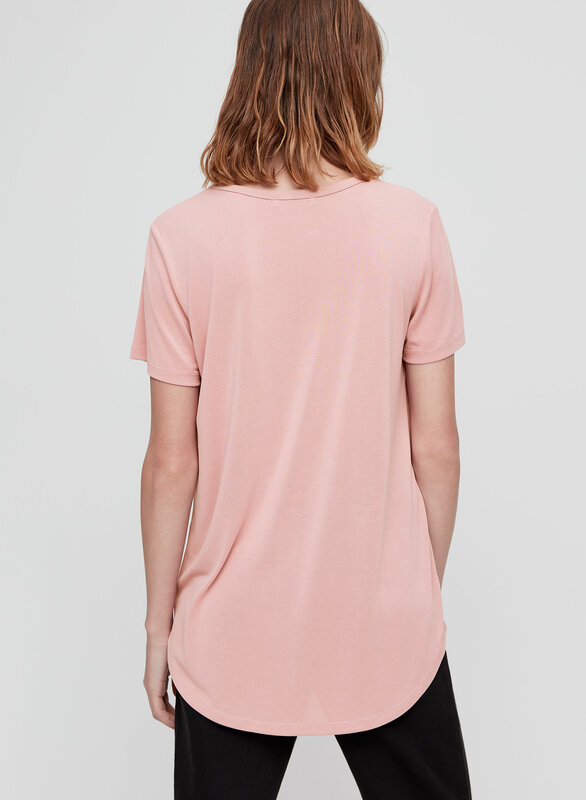 This is a nice flow fit, this T-shirt is perfect for everyday go to or a dressy layer, have it in every colour! Have 3 of them. Black, white and now grey. Elevates your outfit to next level. Easy to wash and shape is just great.